So what goes into a computer? What types of computer components do you get? After going through this section, you will have a good understanding of computer components and how they work. There are a lot of stuff that goes into a computer, but there are some basic components that you need to know. These components make the computer work. Let's list the most basic components your computer needs to work. 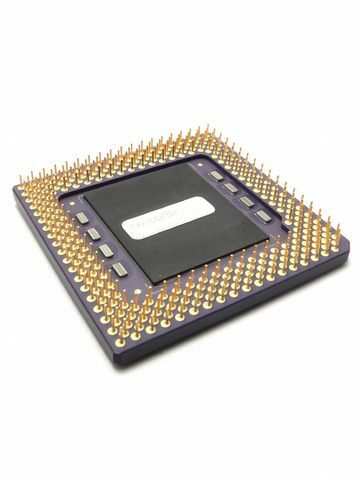 1) A CPU or Central Processing Unit. Also known as the Processor. 2) RAM or Random Access Memory. There are, of course, other components that's required to make the PC work, but these are the core ones. Below is a breakdown of the these components and a brief description of each. Click on the links of each to read more on these. Also known as the Processor. The CPU is the brain of the computer. All instructions or decisions are done by the CPU. The CPU is the heart of the system. Remember all those bits and bytes in the section on basic computer operation? Well, this computer component does that. The CPU fits into a socket on the motherboard. Also known as, RAM (Random Access Memory). 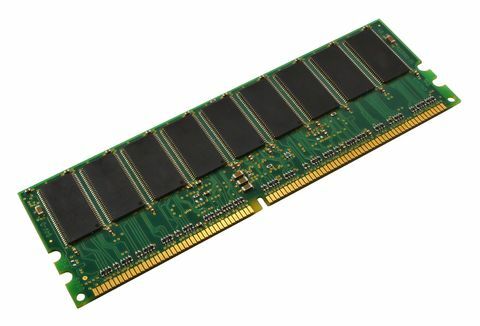 Ram is used by the CPU to read and write data to. After the CPU does it's work it will write the data back to RAM or, if the CPU needs to read data, it will read the data to RAM before processing it. Why? It could read and write to the disk, but that will be slow. RAM is much quicker than disks. Ah, the motherboard. The mother of all components. Most computer components slots into the motherboard. Your CPU, RAM and PCI (Peripheral Component Interconnect) devices, is plugged into the motherboard. In the graphic above, the motherboard is shown at the center. It depicts how the components slots into the motherboard. 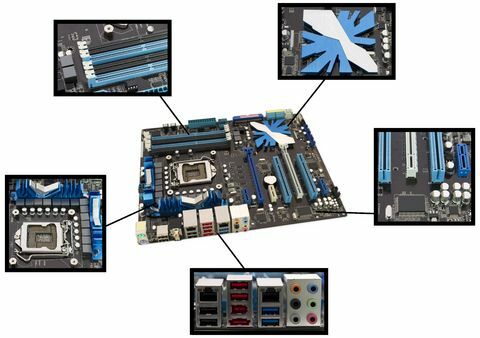 There are hundreds of different motherboards and models, but they basically do the same thing, connect all components. The hard disk is where you store your data. All your documents, music files(mp3's), photos, programs and so on. The picture above show a hard disk that has been opened. The hard disk is encased in metal to protect the platters and heads. Again, like most components, there are a lot of different types of disk and sizes. Read more here. You would also need a keyboard and mouse as input devices. A graphics card and screen to see the output. There are things like network ports to get you onto the network and a printer to print stuff with. These are all components that would need, but these all depend on what you want to do with the computer. For instance, if you don't want to connect to the internet, then you don't need a network port or modem. If you don't need to print anything, then don't buy or use a printer. It all depends on what you want to use your computer for. Here is a list of components you would probably use in order to work with your PC. The network ports and graphics ports usually comes standard with the motherboard, so I haven't listed them here. Below are some graphics on what these look like. You use the keyboard to type stuff with into the computer. The mouse is what is known as, a pointing device. There is a little cursor on the screen that moves when you move the mouse. The screen is there for output. It connects to a graphics port at the back of the PC. The computer case is just a container that houses all the components. It usually comes with a power supply so you don't need to buy it separately. 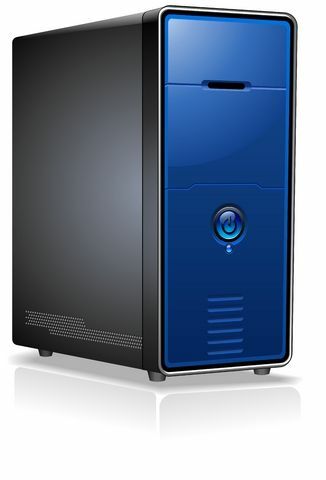 You build your motherboard into the case and connect your devices from the motherboard. 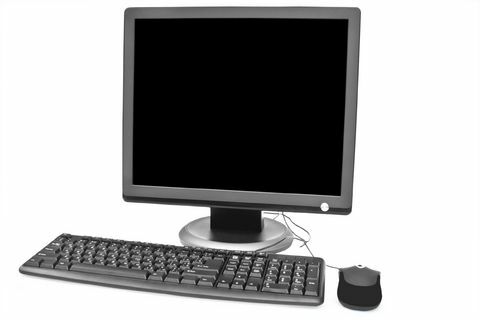 There are a host of different types of computers. Read more on the technology behind these. What's single core, dual core, gigahertz and megahertz? Get a better understanding of the Computer CPU before you buy. Understanding the different types, sizes and speeds will help you when you decide to upgrade. The motherboard is one of the most misunderstood of all computer components. Find out why. 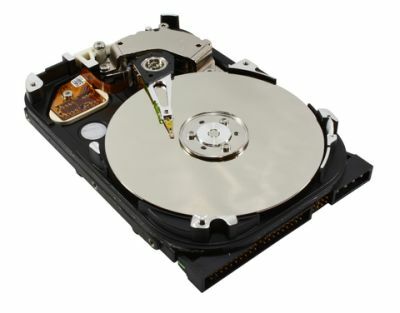 Get more information on the different types of hard disks and why you need it. Discover the technology behind solid state disks and why it's the future. Learn more about how you get stuff into your PC, and how it's displayed. The computer case. See where you fit all those components.